This book is amazingly written, has a lot of twists and turns so you never get bored. Really good character development, and I loved Madeline Miller's interesting take on the greek gods, their lives and personalities. Contains some adult themes and possibly upsetting scenes. A beautifully narrated tale of the titan -goddess Circe. Miller’s sentences approach something akin to imbibing ambrosia. More mellow than Song of Achilles and yet not less for being such. 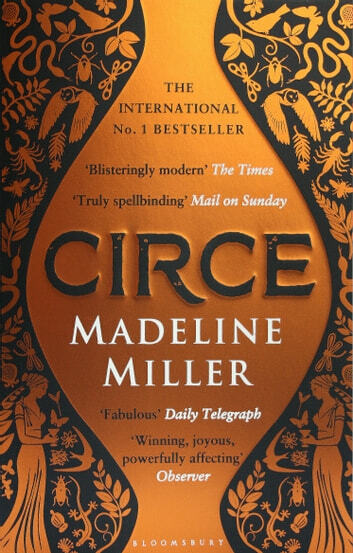 If classicists and metaphysical scholars may yet find fault with Miller s characterisation of some gods; they will soon forgive , for the retelling of Circe is truly a worthy tale . 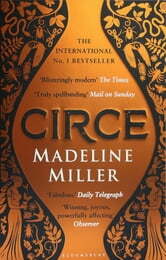 Written from the perspective of one of Greek mythology's most notorious women, Circe by Madeline Miller convincingly recasts the negative stereotypes and delivers a modern heroine struggling to make her way in a masculine gods world. Worth reading and easy to do so. Not as dark as her previous book. "Men make terrible pigs", says Circe (Keer kuh). A witch in exile, tales of her turning drunken sailors into pigs is her main claim to infamy. Stories from Olympus have entertained us for ages, stories of daring and skulduggery, heroic feats and pitched battles, peopled by angry gods, ruthless tyrants, crafty warriors and monsters. Circe resents how women are pictured on their knees or in tears before males, begging for help or for mercy. Powerful women carry the story in this book, a colorful, energetic re-telling. Beautifully written. Entertaining. Recommended.